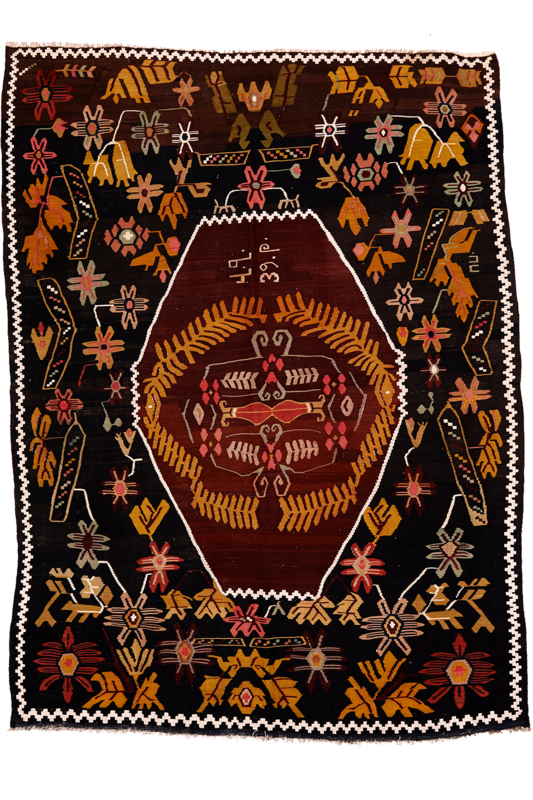 This kilim is beautifully woven, signed and dated. Cool light blues and greens are balanced with warmer colors on a base of black/brown (abrash). The white zigzag patterns are made with cotton. The weaver shows a rare degree of freedom and a hint of imagination in creating this enchanting piece.